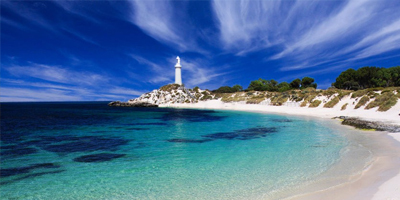 Rottnest… WA’s most beautiful island is just 18 kilometres off Perth’s coastline, and a lightning fast 40-minute ocean crossing in air-conditioned comfort on one of our high-speed ferries. 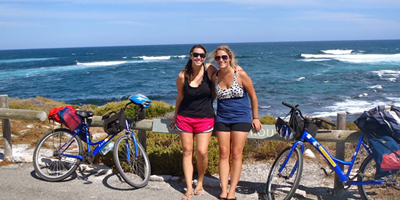 From day trips to overnight accommodation packages or exploring Rottnest by yourself, Rottnest Fast Ferries has your island experience covered. 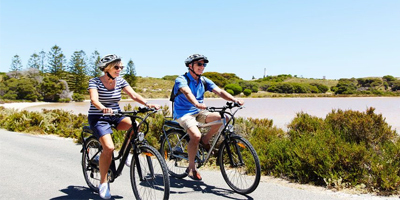 Departing Hillarys Boat Harbour daily, we offer a variety of travel times and tour options to accommodate your perfect day out. Some services are wheelchair accessible for items with a width of up to 88cm. 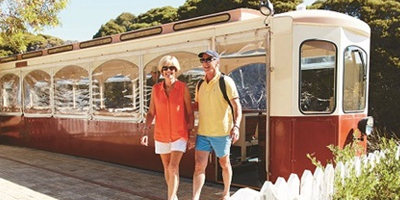 Please ensure you let us know at the time of booking if you will be travelling with a wheelchair so we can provide you go on a suitable vessel. Failure to notify us of your requirements may result in the service being unavailable on arrival at the ferry terminal. 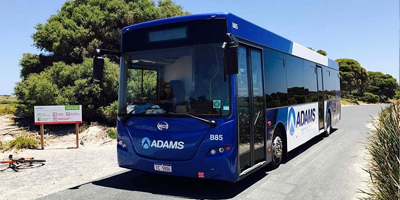 Unfortunately, our courtesy coach transfer services are not wheelchair accessible, unless passengers can navigate stairs and have a fold up wheelchair. Please note that high tides due to bad weather may cause slight difficulty during boarding or disembarkation. 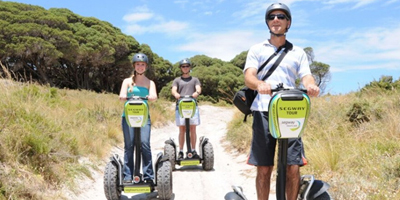 Once on the island, the main settlement (small shops, cafes and restaurants) is also accessible by wheelchair, and we recommend contacting the Rottnest Island Visitor Centre on 9372 9732 to see what island tours would best suit you. The ability to take the pram on board the vessel will vary depending on the particular vessel in use and the capacity of the service. In most circumstances, it is possible for children travelling in a pram to remain in the pram on board the vessel; however if the service is particularly busy, the pram may be requested to be folded and stowed securely, with the child seated with their parent or guardian. When permitted on board, prams must be able to travel along the gangway and fit through the vessel doorway (max 88cm). If the pram cannot fit, it must be folded and stowed securely.